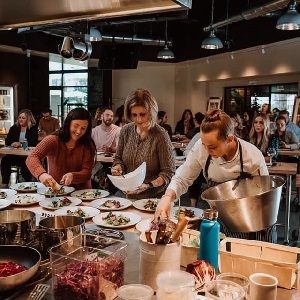 Learn how to cook like a French native in this deceptively simple cooking class led by Parisian native Chef Vincent Lesage. Sip, savor and sauté your way through the delightful culinary culture of the region while mastering Chef Lesage’s favorite childhood recipes: Spring Vegetable Barigoule, Peppercorn Steak with Brandy Sauce, and Crepe Suzette. And in true French fashion, exceptional wine will be enjoyed by all.